Killing time in Coolidge, Kansas. All photos by Chris Buonomo. 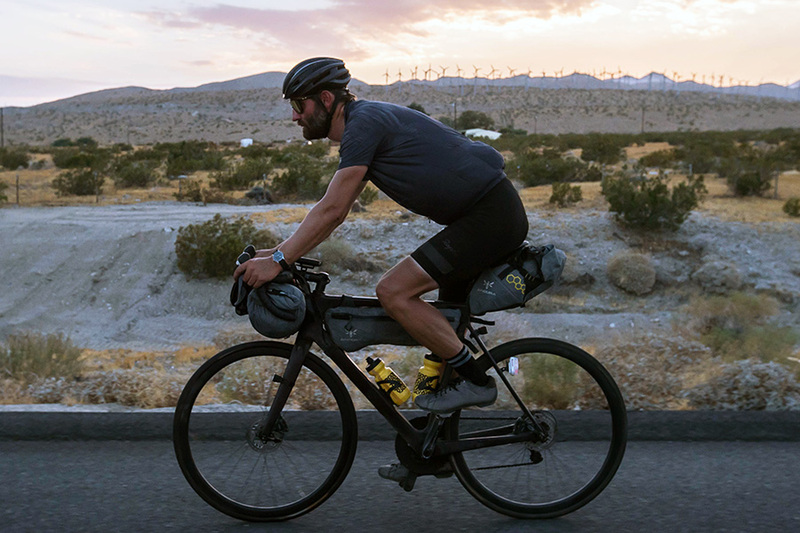 Timing is everything and in this case it lead to a once-in-a-lifetime cycling trip across the United States. University of Southern California student Chris Buonomo tells us about his usual move west. So, what made you take a cross-country biking trip? For the last few years I had been trying to figure out how to make this kind of trip a reality. Then, as I was preparing to move to Los Angeles for grad school, I heard about Search Brigade trip from New York to L.A. It was due to leave June 1 and my lease was up May 31. The timing and route fell together perfectly and I couldn't pass it up. I signed on and it was one of the best decisions I ever made. What was the best tip you got before you left? And where did you find it? 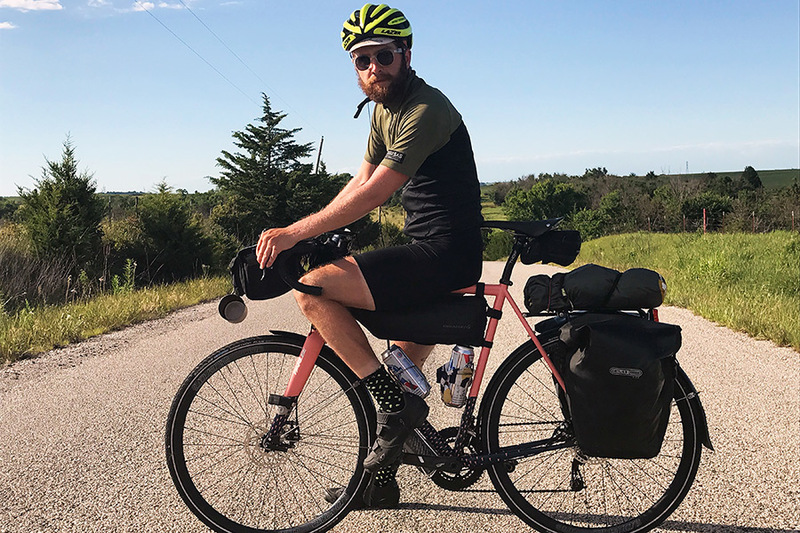 A week before I left, my local bike shop, , hosted a talk with bikepacking guru and all-around-nice-guy, . He recapped a recent ride through central Cuba, and made it clear that the best moments of his trip, and most any trip, result from the quick changes you make when you've gone off-course and need to just figure it out as you go. I've always been willing to go with the flow, but given my limited bikepacking knowledge, I was nervous about what lay ahead. On the trip, I always tried to embrace the unknown and be ready for whatever the road would throw at me. Some of my best memories came from moments like that. This was a different sort of trip. We didn't drop into one place, experience the local culture, and fly back to our normal lives. The whole trip was part of the process of "getting there." We rode for 37 days straight with visions of our final destination, Santa Monica, in our collective imagination. But the purpose of the trip, at least to me, was to immerse myself in the road and live in the moment. The trip itself was the process of traveling. It was an in-between world, a transient existence where we'd roll into towns, talk with the locals, eat, sleep, and hit the road again. I've never done anything like this before and I've never lived like that before. It was by no means a normal trip, even by bikepacking standards. It opened my eyes to a new way of traveling. Ready to camp in Fall River State Park, Missouri. 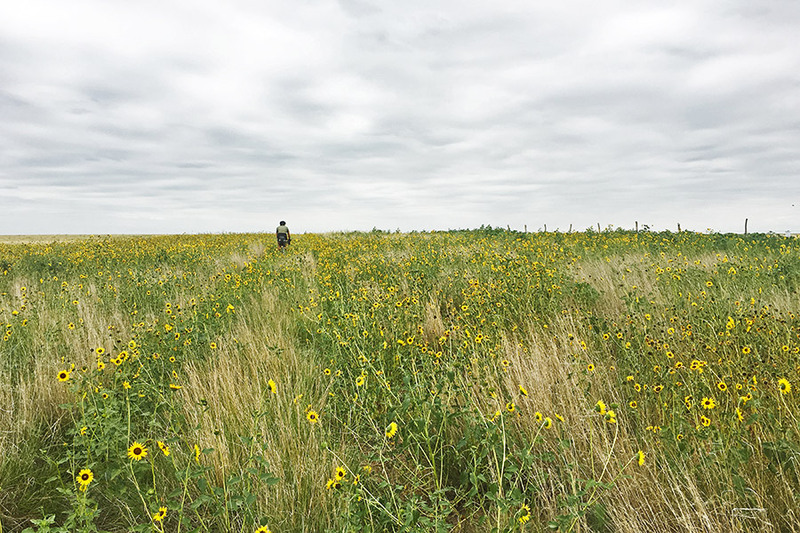 Lost in a field in Eastern Colorado. We passed through fourteen states, and we stayed in 37 different places. We started in Times Square, which I avoided like the plague while living in New York, but now fondly remember. We traveled southwest to West Virginia, due west to Colorado, and then turned southwest through Arizona and California. Most of the time we camped. Sometimes there were , which had showers, grills, and pools that made camping life easy; other times we rough-camped on land handled by the (which is always free). We had a few hotels and motels planned, but sometimes we just opted to split a hotel for the night, which often was about the same price per person as the KOA. That's what we did in Lake Havasu City, where it was 115 degrees mid-day and only got down to 90 degrees at night. It was also the Fourth of July and they had a big pool, so that was an easy decision. I was ready to camp every night, but sometimes circumstances dictated a motel stay. And I wasn't going to argue with that. By the end I knew that I could have packed lighter and that there was gear I could have lived without. I brought a packable down jacket which I used maybe twice. I could have layered my other clothing and been fine. 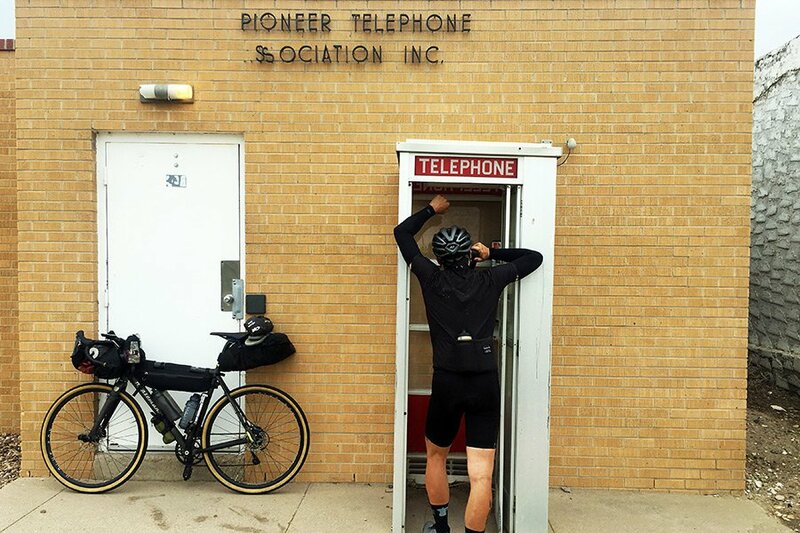 In West Virginia, I sent some things home, but I hung on to too many of the bike clothes, which weren't a necessity since most of our time was spent on the bike. It was my first bikepacking trip so it was a learning experience. I'll travel lighter next time. Hwy 106 in the Ozarks, also known as Roller Coaster Road. We expected to have flat terrain from the Appalachians to the Rockies, definitely underestimating how hilly the Ozarks would be. Hwy. 106 took us through Mark Twain National Forest and gave us a continuous strip of rolling hills, punchy climbs, and winding descents. At the highest point, we climbed a fire tower, seeing the whole valley below. You rarely get to assess the terrain you've covered from that vantage point. It was beautiful. Later in the day, we took an impromptu dip in a rushing cold creek called Alley Spring. The locals had advised us to stay off that road. "It's too steep." "It's too dangerous." "Nobody rides bikes up there." We did, and I'm glad we didn't listen to them. If one thing became clear, it was to not always listen to the locals, who often project their impressions of the area onto the traveler. Smelling roadkill before you got to it. It's a smell I'll never be able to forget. 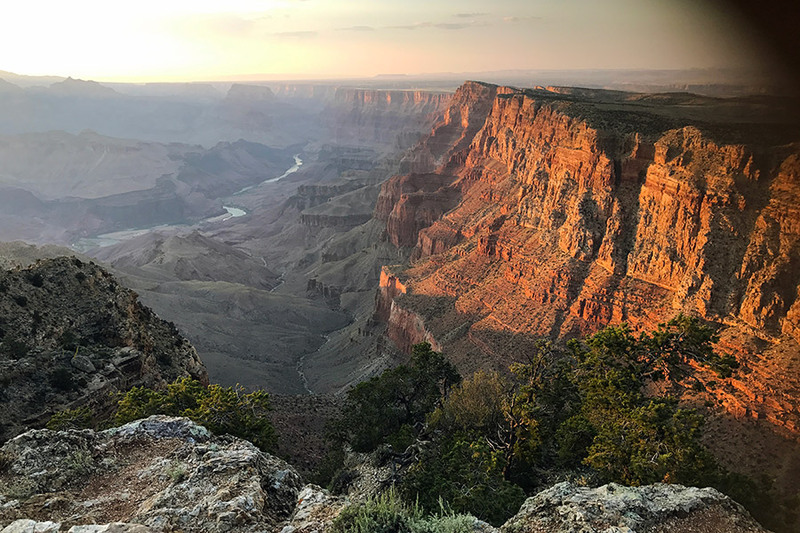 Sunset at the Grand Canyon. I never in my life had the desire to visit . To me, it epitomized the lame 20th-century family road trip, loaded station wagons, oversized RVs towing SUVs, donkey rides, awkward family photos, and forced fun. I didn't want any part of that, and the Grand Canyon seemed like the epicenter of it. The planned route took us there, so it was another stop on the list but not something I bookmarked. I was wrong. The 30-mile climb was tough but provided great views across the desert. When we rolled into camp every site was full, but we made friends with two guys riding their motorcycles cross-country and made camp at their site. Inexplicably the camp general store had a huge selection of craft beer for about 80 cents a pop. We had a party with the crew and our new friends at the south rim at sunset, one of the best nights of the trip. And in the morning a couple made us coffee in the same spot while we watched the sunrise. Sitting at the edge of such a vast, awesome formation you can't help but feel like a tiny part of something much bigger than yourself and just a blip on its timeline. I foolishly expected little of the Grand Canyon but now remember it as one of the best stops of the trip. Pie. The bright side of cycling so much is that you need to load up on calories and carbs, so you can pretty much eat consequence free. And every part of the country has diners and neighborhood restaurants with their own local pie recipes. A la mode was an automating decision. 1. Meal: Country ham biscuit and blackberry cobbler at the Allegheny Restaurant in Harman, West Virginia. 2. Neighborhood to explore: Salida, Colorado. The ride into town snakes along the Arkansas River, a quick moving current full of white water rafters below red cliffs. After setting up camp at a Bureau of Land Management site outside of town, we rode in for an afternoon coffee at and some bike repairs at . 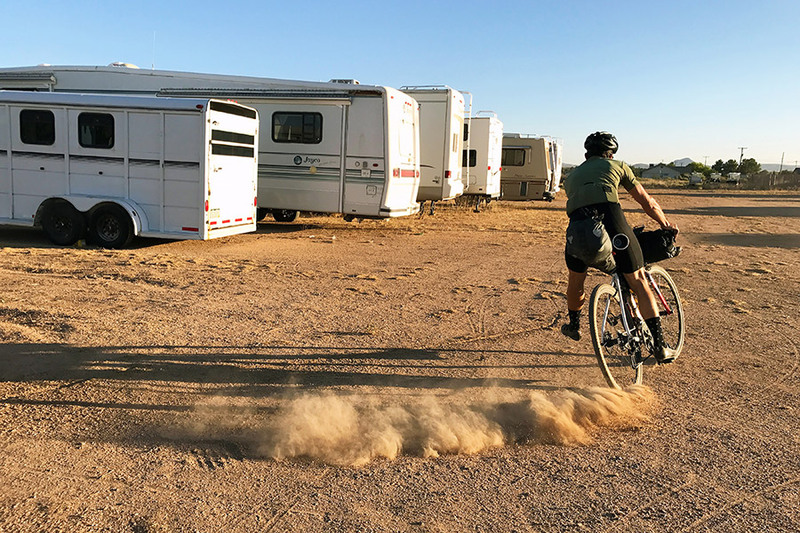 The whole town is crazy for bikes, mostly mountain biking because it's just below the continental divide, and a bunch of folks wanted to talk about bikes, camping, and our trip. Then we had some seriously good pizza and local beer at followed by dessert at an ice cream parlor/vintage clothing shop in the middle of town. It's along the , so a lot of hikers come through and people are chatty in a genuine way. More so than any other place we saw, Salida had an open, inviting vibe where everybody seemed to enjoy their little part in making it a unique community. 3. Thing you did: Rode up in Colorado. 4. Casual hangout: Beer and chips with the group on the porch of any general store. Wind farms near North Palm Springs, CA. 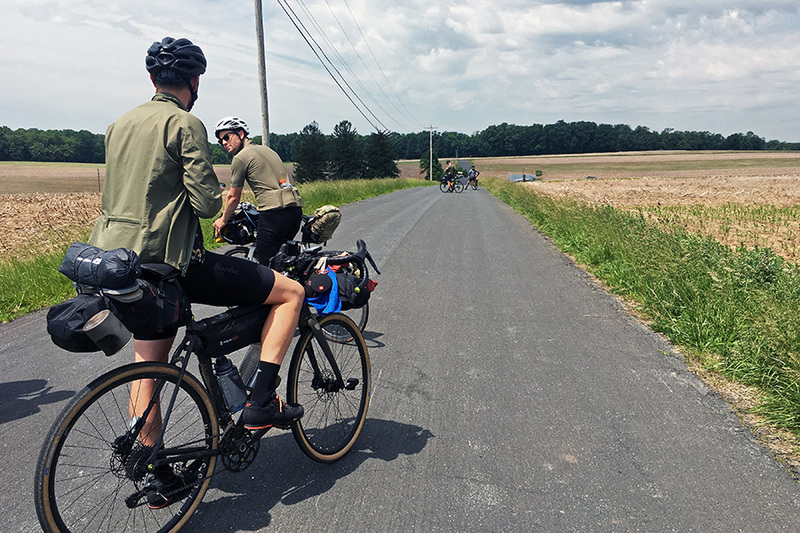 You get used to the fatigue, so riding 100 miles every day somehow isn't that bad. Riding alongside a stampede of horses in Aneth, Utah. Drinking coffee at sunrise on the South Rim of the Grand Canyon. It's not as hard as you think. You can do it. Already thinking of how I can make that happen. Chris lives in Los Angeles where he is pursuing his masters in Urban Planning at USC and exploring the city by bike. You can follow him on Instagram at . He travels to learn about people and cultures that make this world interesting.